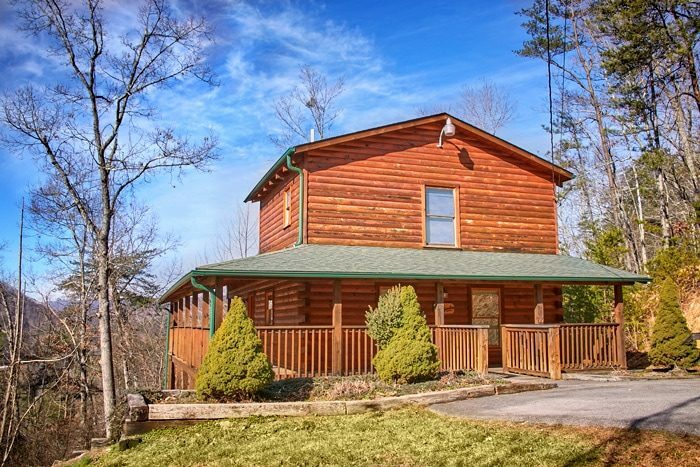 Experience "Bearadise," a secluded Smoky Mountain cabin with a view that's only a short drive to Downtown Pigeon Forge at traffic light #10. 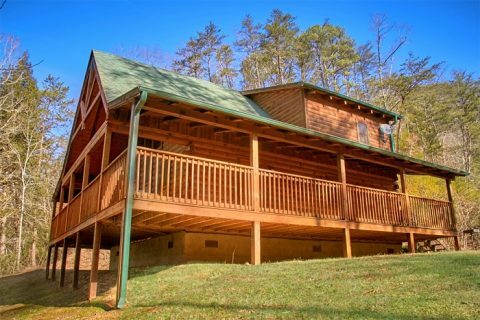 This gorgeous, 1-bedroom honeymoon cabin sleeps two guests in a comfortable master suite with a king bedroom. 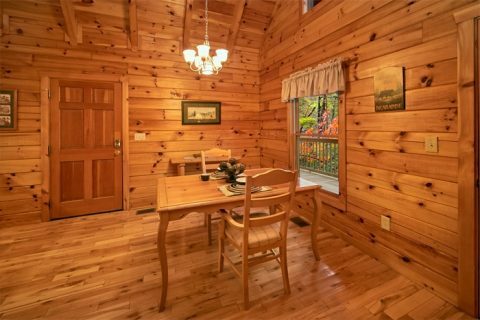 Your Great Smoky Mountain secluded cabin rental is ideal for romance. Couples on honeymoon or those celebrating anniversaries will simply love this cabin. 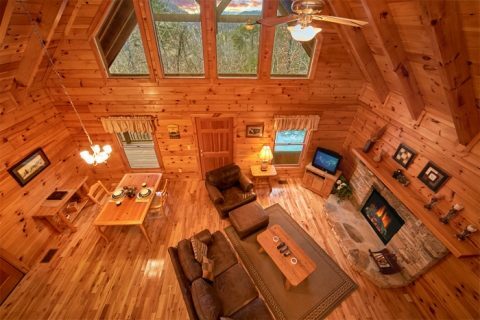 Reconnect with the things that matter most in a beautiful, secluded, log cabin in the mountains of Tennessee! Located close to the Pigeon Forge Parkway, guests of this secluded cabin are never far from vacation fun! On the main strip in Pigeon Forge, couples will find nearly endless activities like go-karts, mini golf, shopping, and a huge variety of restaurants. Dollywood is also close by so guests can enjoy thrilling coasters, smoky mountain crafts, and musical performances. No matter what you plan to experience during your honeymoon trip, you can look forward to relaxing at your cozy log cabin at the day's end. 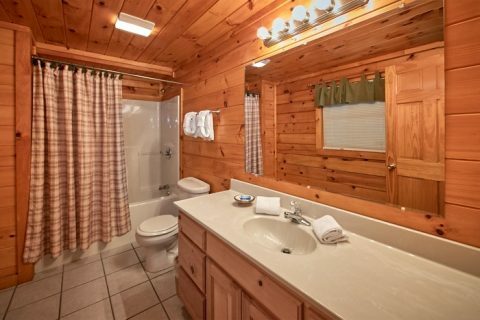 Opportunities for romance and relaxation abound at your cozy cabin in the woods. 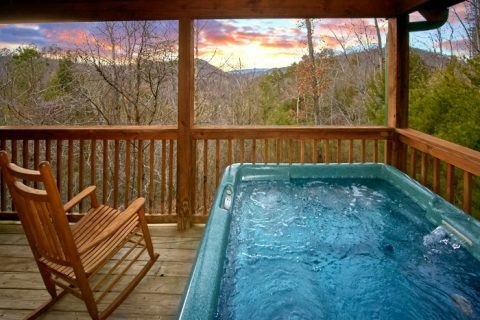 Enjoy a great view from your cabin's hot tub on the deck. Play a few rounds of billiards at the pool table for some friendly competition with your sweetheart. 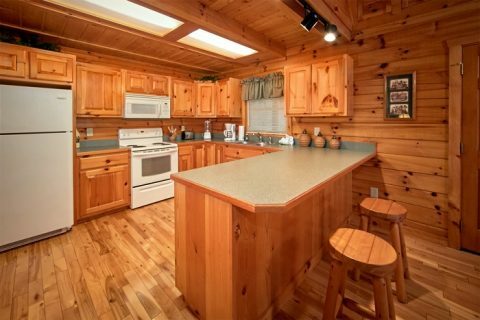 Eat a delicious dinner for two prepared in your cabin's fully equipped kitchen and charcoal grill. Lastly, you can enjoy a romantic evening curled up by the living room fireplace while you watch your favorite movie on the television. 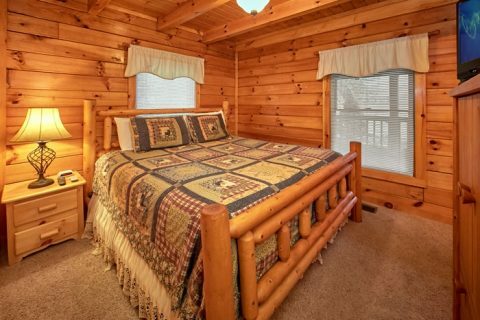 When it's time to get some rest before another day of Smoky Mountain fun, you can look forward to sleeping in a King-sized bedroom with another television. 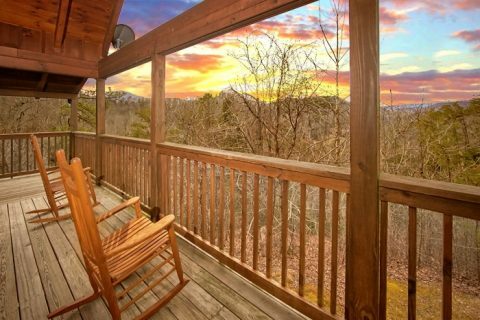 Book your secluded, 1-bedroom Smoky Mountain honeymoon cabin and save 15% with Cabins USA Gatlinburg. 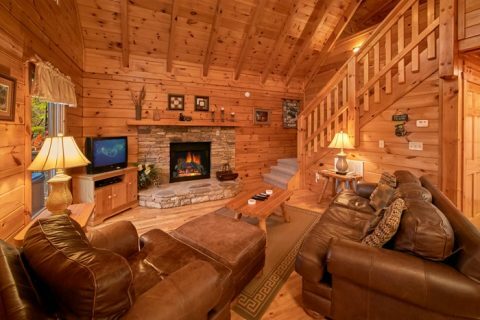 This affordable cabin in the Smokies that's close to all the action has everything you need to make lasting memories in the gorgeous mountains of East Tennessee.